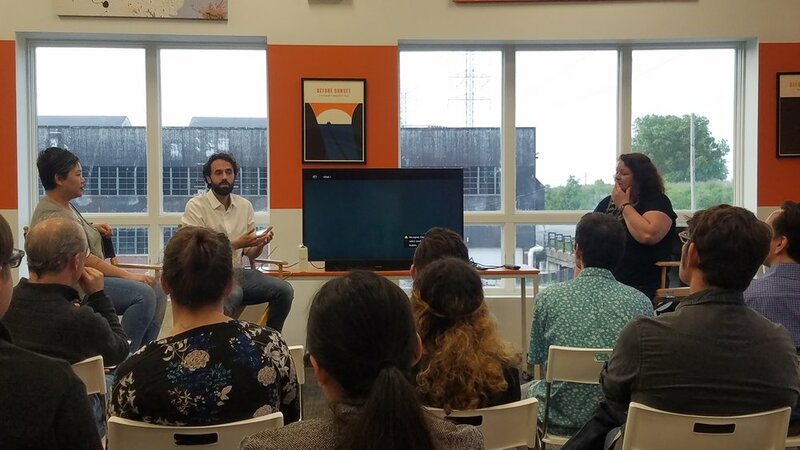 IFP Chicago regularly hosts workshops and panels on topics ranging from screenwriting to festival strategy, from development to distribution. Screenwriter Amelia Dellos (Corn Bred Films—top left) and producer Sonny Mallhi (The Lake House—seated next to Amelia) discuss script development. L-R: Thavary Krouch (Facets Cinematheque, Chicago Film Office), Tim Horsburgh (Kartemquin Films), and Ines Sommer (Percolator Films, Northwestern University) discuss educational distribution.